Access to all live Immune Master Class Sessions, including all interactive faculty presentations, expert panel discussions and Q&A’s between the audience & the KOL Immune faculty. Ability to download all Master Class PowerPoint® slides from all presentations, including all “bonus slides” provided by many presenting faculty members immediately upon conclusion of the Master Class. The opportunity to earn up to 17 hours of continuing education credit. This includes CME credit for physicians, CNE credit for nurses, CPE credit for pharmacists and a Certificate of Attendance for all other HealthCare Professionals, such as Dieticians, Fellows, Physician Assistants, etc. Personal interaction with the Immune KOL faculty. Establish personal relationships with the Immune KOLs. This is truly a very rare and important opportunity for a limited number of industry executives attending the Immune Master Class to meet and establish your personal rapport with the country’s top expert Immune KOLs. In addition to the interaction during the learning sessions, there are numerous opportunities (described below) with ample time to get to know each of the Immune KOLs on a personal basis---something that most of your Immune industry colleagues will never have an opportunity to do, especially in today’s environment with strict regulations. Where else can you have such an opportunity to have lengthy conversations with these Immune KOLs to help you establish personal working relationships with them? The following are the major opportunities during the Immune Master Class which will help give you an “edge” over your Immune competitors. A one-hour formal reception on March 8th and 9th, 2017; and that is followed by a formal dinner where all of the Immune KOLs sit at separate tables, enabling seven industry participants to join a KOL at each of the tables of eight with the KOL of your choice, on a first-come basis. There are two dinners and a lunch with the same “private,“ KOL arrangement: all Immune KOLs sit at separate tables, enabling seven industry participants to join a KOL at the table and KOL of your choice, and again, on a first-come basis. There are two “full-buffet” breakfasts, morning and afternoon coffer/beverage breaks during the 8AM to 5PM Immune Master Class sessions providing additional opportunities to meet and strengthen relationships with the Immune KOLs. The opportunity to establish vitally important relationships with the KOLs has been described by the vast majority of past participants as being one of the most important reasons to attend this Immune Master Class—meeting and building rapport with the KOLs is a major bonus to attend this Master Class, in addition to being taught by them, personally. A rare networking opportunity to meet with your industry executive colleagues from various pharmaceutical/diagnostic companies involved in therapeutics, diagnostics and supportive care for Immune. Graduation Wall Plaque provided for each of the participants. Internet Webinars will be developed from each of the presentations from the live Immune Master Class of March 8-10, 2017. Webinars will be available on line with a special access code to all paid participants attending the live March 8-10, 2017 Dallas Immune Master Class. "24/7" access as a free resource to all Webinars is for a period of one year from June 2017 to June 2018. The opportunity to earn 17 hours of CME credit for physicians, 17 hours of CNE credit for nurses, 17 hours of CPE credit for pharmacists and Certificate of Attendance for 17 hours for all other participants. Multiple Master Class Discounts: These apply to any participant(s) who pay(s) tuition for and are part of the audience of more the one Master Class (any of the four Master Classes in 2017). Please note. To be eligible for these discounts, tuition must be either paid or invoiced by February 1, 2017. Discounts will be available on a diminishing availability basis. In other words, early in the registration process, when many seats are available, discounts will be larger than later in the registration process when the limited seats are almost all filled. So to take advantage of any possible discount(s) please register and pre-pay your tuition early. If you are a Practicing Healthcare Provider (HCP) and engaged full-time in providing Immune patient care, and are not directly or indirectly involved in industry work please call us for special HCP tuition and pricing. In other words, your primary source or full-time income must be as a member of an academic or community-based cancer practice. If you are a full-time academic or community/private-practice oncologist or Immune HCP who is engaged in providing Immune patient care, (and not an employee of industry), (or you are an HCP employed part time and if your sole source of income is non-industry sourced) and you wish to attend the Immune Master Class 2017, you will qualify for special HCP tuition. Please also note that because of the expected maximum enrollment of this Master Class, we will most likely have a waiting list. As long as there is someone on the waiting list who purchases a seat that has been prepaid and cancelled, a 100% complete refund will be made for anyone who cancels. If there is not a waiting list, and the seat cannot be resold for whatever reason, then the following refund amounts apply. 100% full refund until February 10, 2017. We are not responsible for Hyatt Regency Hotel Sleeping Room cancellations. That is beyond our control. 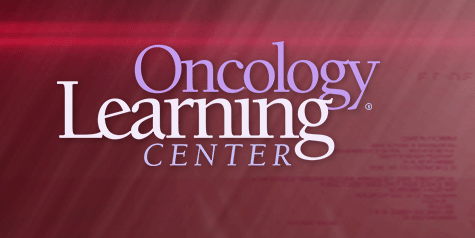 The Oncology Learning Center has been able to secure sleeping rooms at a deeply discounted rate of $209 per night. But we have no ability to deal with any refunds. If that applies to you, please deal directly with the Hyatt Regency who might be able to help you because their hotel is usually sold out every night.